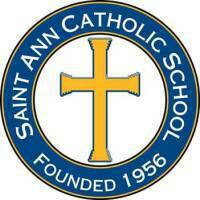 St. Ann Catholic School strives to create the most conducive environment to learning. The proper wearing of our uniforms reduces the amount of daily distractions for our students allowing them to focus on their education and spiritual growth. Our uniform code has a diverse set of options; however, we have a strict adherence to the wearing of those options. The St. Ann Catholic School Uniform Code has been updated for the 2019-2020 School year. Please click the link below to see the current options and wearing of the uniform. A booklet will be provided to each family on Business Night, August 12, 2019. The wearing of any yellow polo shirt or yellow peter pan collared shirt is UNAUTHORIZED! Please discard these items from your uniforms items. 365 N. Cool Spring St.
©2019 St. Ann Catholic School All Rights Reserved.